Ask Julie Gilbert some Questions! When not teaching chemistry, she writes, reads, and plays video games. She seeks to connect with young people who don't naturally gravitate to books and teachers who want reach such students. She lives in New Jersey. She Also has been a Christian for over a decade. When not testing new poems on hapless roommates or convenient family members, she writes novels, plays video games, and works on getting a BS in Biology. She lives with her family in New Jersey. PLEASE post your questions for her in the comments section! Without your questions it won't be much of an interview ;). If you would like me to feature your own name hyperlinked with your website or profile next to the question- please leave your link in the comment box with your question :). First question: Do you have a website? Noticing that you teach Chemistry, do you find that your students have unrealistic assumptions about what can be done in class (at your student's level) based on their media experiences (whether books or movies, etc.)? Do you intend to write books along series like The Lemonade Trick by Scott Corbett (older series) or The Magic Treehouse books that blur realities draw kids into adventures in history and magic and now? What was the first story that you published and how did you come to write it? On your author's page you say you write YA real-world science fiction, and normal science fiction. I am not sure how you are defining real-world science fiction and normal science fiction and what the differences are between them? What would not-normal science fiction be like? Writers are typically readers of the genres they write. Do you have a favorite YA science fiction story or "normal' science fiction story and why does that book stand out in your mind? While you are at it... could you describe your favorite writing spot for us? 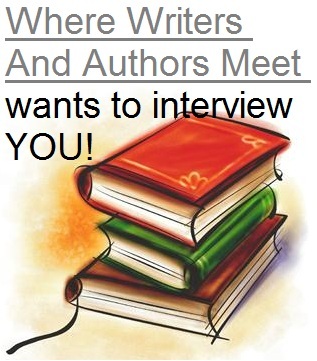 Describe it like you would a scene in your book- give us a taste of your 'voice'. Alrighty! Questions are submitted up to here! - Answers will be posted on monday! However- if you come up with any more questions, feel free to ask them and if we get enough I will see if I can get her to come back for a second interview!! !